Moussa Blimpo is an Economist in in the Office of the Chief Economist for the Africa Region at the World Bank. He earned a Ph.D. in Economics from New York University. Dr. Blimpo is an expert on the design and analysis of experimental interventions in education in developing countries. He has conducted experimental evaluations of school governance and the expansion of early childhood education in The Gambia; incentives for student performance in Benin; school accountability in Haiti; in addition to work in progress on teacher training in Rwanda. His work has been published in American Economic Journal: Applied Economics, World Bank Economic Review, and the Journal of African Economies. 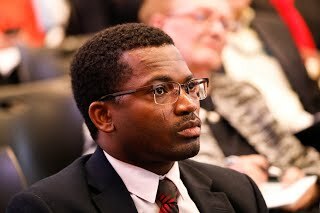 Prior to joining the World Bank, Dr. Blimpo held posts as an Assistant Professor of Economics at the University of Oklahoma, a post-doctoral fellow at the Stanford University Institute for Economic Policy Research, and as the Founding Director of the Centre for Research and Opinion Polls (CROP) in Togo.